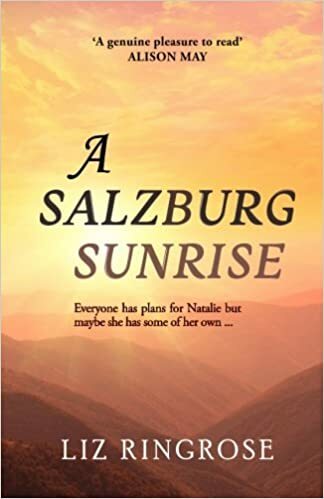 A Saltzburg Sunrise by Liz Ringrose is a delightful ‘holiday’ read with short chapters that drive the story on at a pace. Told from the viewpoints of two main characters it is a journey to Austria that captivates the reader, and everyone gets what they deserve, except for Grandma, perhaps. Through many twists and turns the reader empathises with Natalie and Leo, and as their past lives are revealed, the future that seems to be one of sadness, turns to joy. Despite the odd typo or two, (which do not detract from the story at all) this well-researched book is everything a good novel should be. It takes the reader from the ordinary, day-to-day life that Natalie has to Saltzburg where her situation changes through many twists and challenges. The minor characters are (mostly) likeable, especially Natalie’s little brother, Toby. The question is: how on earth can she leave this child if she wants to live and work in Satlzburg, and why would it be such a wrench? No spoilers here, just a hearty recommendation to read A Saltzburg Sunrise.